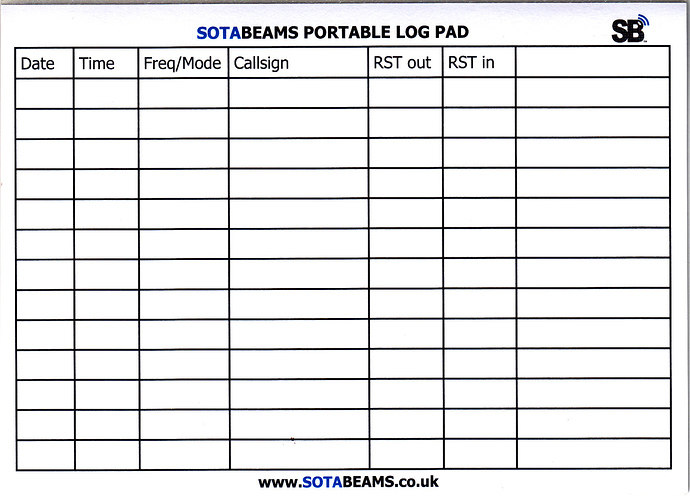 I have used the SOTABEAMS Logpad for my activations for sometime, but find they have dropped them as a product. Does anyone have any of these log pads that they are not going to use, and would be willing to part with for an agreed fee? I realise there are other methods of logging, but I have got use to these log pads, so just thought I would ask. 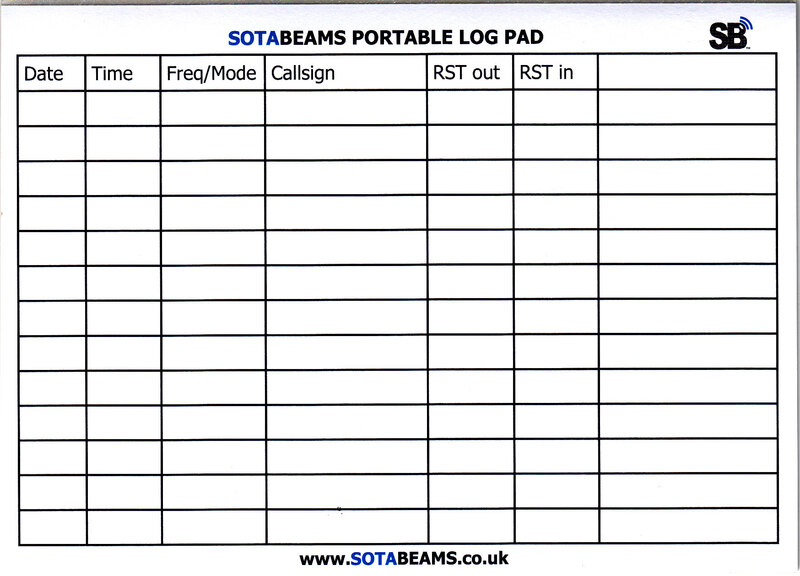 I have included an image of the log pads below. I have five unused pads, your most welcome to have them. Please send your address and i will post them. Could you make your own? You already have the layout. Let me know how much postage is and I’ll refund it to you. My details are D.J. Holmes, 17 Green Lane, Newby, Scarborough, YO12 6HL. Yes. I know I could, but I find these pads very handy . 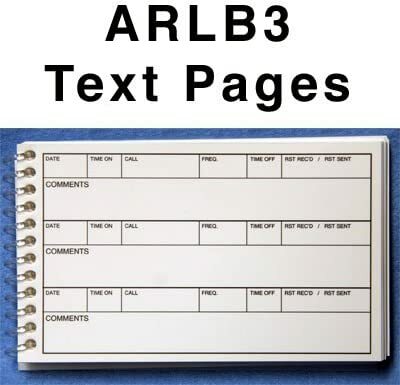 I’ve used these from the ARRL and liked them immensely. Small and space for probably 700+ log entries in a book. Not sure of a UK source but maybe ARRL shipping to UK is reasonable. I clip it to a small Perspex backing. I have published on my blog site some similar Activator and Chaser log sheets in A5 size (either for printing on A5 paper or two across on A4 paper) which I designed. All are welcome to download and print for yourselves. That looks a lot like the ARRL Minilog, available in paper or weatherproof paper. I have one of these, too. I was not able to find it on UK Amazon, sorry. Many thanks for the log pads, which arrived yesterday, they are much appreciated. Thanks for letting me know you have them. I must to admit to still liking paper for logging. Don’t get me wrong, I am not against electronic logging, and one day I might use a tablet of something else, but I’ll stick with paper for the moment. I have also found a small clipboard that fits the Sotabeams logs perfectly, so i am all sorted, until it pours down anyway . Shame you didn’t hear me, it would have been nice to have a QSO. It was Buckden Pike (G/NP-009) yesterday via the popular route with a reasonably defined path. The downside was that it was a 500m climb, but it was gradual all the way. I made 27 CW contacts on 60m, 40m, 30m & 20m. It was also fairly thick fog and low cloud all the way, and sometimes you couldn’t see more than 100-200 metres. 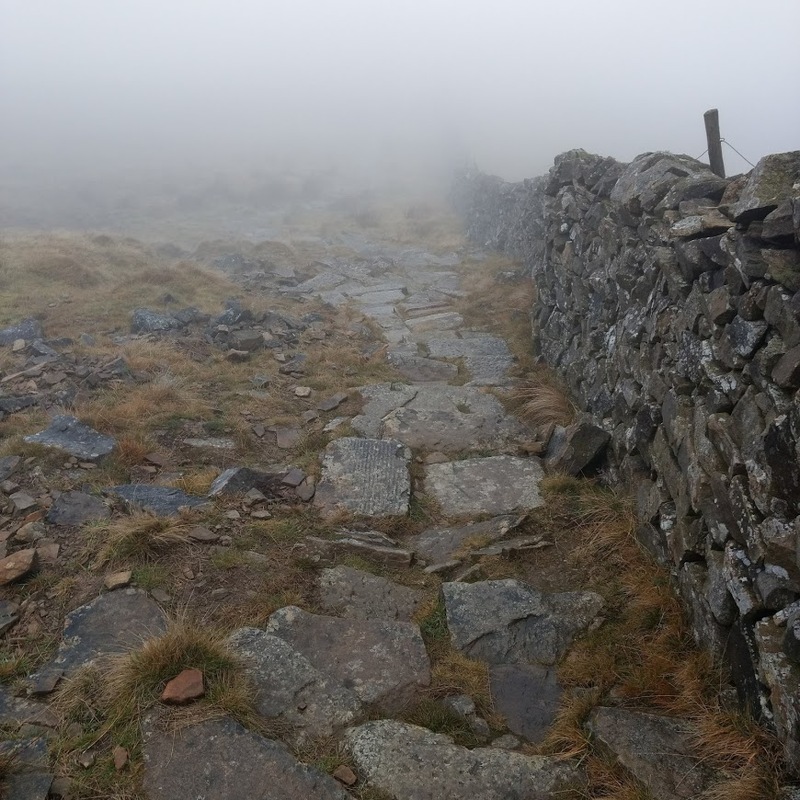 On a previous activation we did the shorter ascent starting between Buckden Pike and Great Whernside. There was water everywhere, and you had to be quite careful not to fall upto your waste/neck in the stuff. My wife managed and unplanned dip up to her waist, which, as you can imagine put her off going that way again . Anyway. Thanks once again for the log pads.